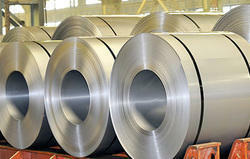 Our range of products include hot rolled coil and hot rolled coils. Our company is involved in trading and supplying quality-assured range of Hot Rolled (HR) Coils and Sheets that are developed using quality assured materials by our associated vendors of the market. Our professionals conduct thorough examination at the time of procurement to ensure that the product range offered by us is free from any manufacturing defect. Our customer’s can avail the range of Hot Rolled Coils and Sheets in varied width and thickness thereby sufficing the demands of huge clientele.